The image was taken behind the scenes from a shoot that Isla Fisher had done to accompany an interview in You magazine. The remarkable interview explores Isla decision to turn to writing in order to survive her ‘mid-life crisis.’ As a result, a new successful career direction blossomed. You can read the article and see the full photo shoot here. Isla wore the dress from Ong-Oaj Pairam Autumn Winter 16 collection. The strapless dress was created using hundreds of meters of tulle. 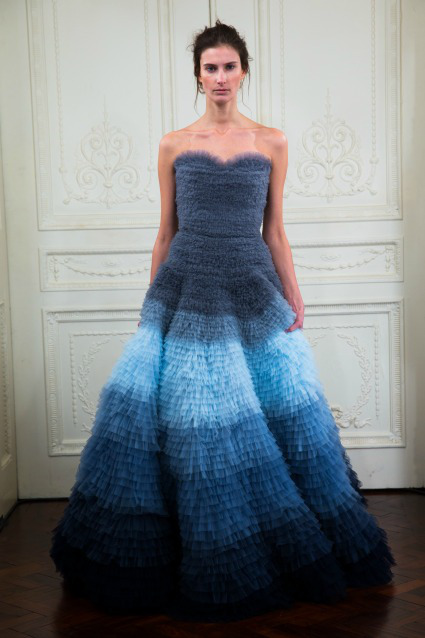 Hundreds of meters of grey and blue tulle were applied in layers to create the dress.